The USMC has – like other branches of our country’s military – depended upon man’s best friend in times of war. That is because as anyone who has ever owned a dog knows, they fiercely loyal to their owners and work tirelessly to protect them against danger. In fact, the use of dogs in war goes back at least as far as the Mid-7th century BC. They have helped carry supplies, sniff out explosives and psychologically assault the enemy and have performed many other services in support of their best friend – man. Here are just a few other facts about America’s war dogs. Fact: There are approximately 2,500 dogs serving in the armed forces today. Many of these dogs support our troops overseas. Fact: Dogs have fought alongside soldiers in every conflict since the Revolutionary war. At this time dogs were used as message carriers and sentries. Today, they serve in a variety of jobs. Fact: According to the United States War Dogs Associations, canines have saved more than 10,000 American lives. During World War I, a dog named Sgt. Stubby became the most decorated dog in history. It once saved an entire company from a deadly gas attack. Fact: During WWII, the USMC nearly used dogs to attack the Japanese mainland. The assault would have been an amphibious assault lead by a battalion of specially trained canines. Fact: Xerxes I of Persia was accompanied by packs of Indian hounds when he invaded Greece in 480 BC. Fact: Approximately 5,000 dogs served in Vietnam. Fact: The use of dogs as subjects of medical experimentation prompted major reforms. In Laboratory Animal Welfare Act was passed to govern this practice. Fact: Prior to WWII, war dogs were often euthanized after service. President Bill Clinton signed a law that allowed these dogs to be adopted. Fact: Today, military dogs serve as sentries, trackers, search and rescue, scouts, and mascots and therapy dogs. Yes, man’s best friend will continue to follow him into battle protecting him every step of the way. They are currently an indispensable part of our country’s military. They are acompanion, protector, friend and guide. 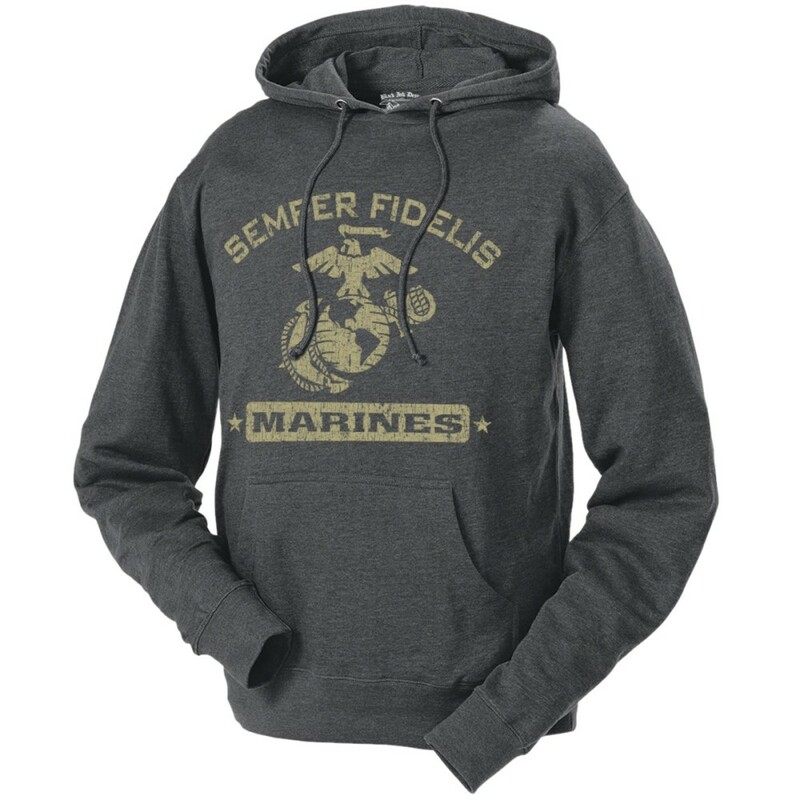 We have even immortalized them on some of our Marine Corps products online.